Paediatric long-bone fractures are commonly seen in the emergency department, and diagnosis is usually confirmed by conventional radiographs. This entails exposure to ionizing radiation with its attendant possible carcinogenic and teratogenic effects. Ultrasonography provides a potentially safer diagnostic alternative and may be cheaper, more readily available, and user-friendly. 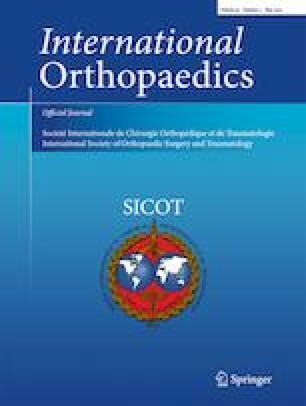 This study aimed to establish the applicability of ultrasound scanning compared with plain radiography in fracture diagnosis. This prospective observational study documented fracture characteristics using plain radiographs and compared these with findings on ultrasound assessment of same fractures at the time of injury. Scans were repeated at week three and week six to monitor treatment in those whom the mode of treatment did not preclude scanning. Outcome measures were compared for relationships including sensitivity and specificity as well as overall predictive values. The age range of the 62 subjects enrolled was one to 15 years and the male to female ratio was 1.8:1. Plain radiographs diagnosed 52 fractures and 50 of these were recognized on ultrasound. The two false-negative ultrasound scans were noted in metaphyseal humeral fractures. Overall sensitivity, specificity, and positive and negative predictive values for ultrasonography were 96.2%, 100%, 100%, and 83.3% respectively. Ultrasound scans were also noted to identify callus formation significantly earlier than plain radiographs. Ultrasound shows potential as a tool in diagnosis of paediatric fractures but may be limited in fractures around metaphyseal bone. Due to the ability to detect callus formation much earlier, ultrasonography may be very useful in monitoring of fracture healing. Ethical approval was obtained from the Ethics and Research Committee of the institution.